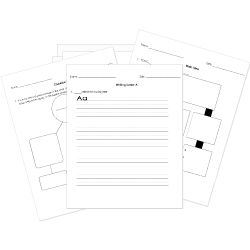 You can create printable tests and worksheets from these A Christmas Carol questions! Select one or more questions using the checkboxes above each question. Then click the add selected questions to a test button before moving to another page. What was the main reason Marley's ghost visited Scrooge? Scrooge and Jacob Marley were brothers. How did the atmosphere is Fezziwig's office on Christmas Eve differ from the atmosphere in Scrooge's office on Christmas Eve? It was more festive and fun. It was darker and colder. It was full of needy people. Characters in a story are often different. How was Scrooge's nephew most different from Scrooge? He was taller than Scrooge. He was wealthier than Scrooge. He was happier than Scrooge. He was busier than Scrooge. A simile is a comparison that compares two things using "like" or "as". How did the author use a simile in the opening of "A Christmas Carol"? Scrooge cried like an infant. Scrooge's name was good upon 'Change. Marley's name was on the door of the office. The Ghost of Christmas Past took Scrooge to a scene between himself and a former love. What happened between him and his former love? She left him because he was too focused on money. She died in a terrible accident. She left him so she could marry someone else. She found out she was expecting a child. At first Scrooge does not believe he is really seeing Marley's ghost. What is the excuse he gives for the apparition? He drank too much wine on Christmas Eve. He ate something that made him see things. He was having a reoccurring nightmare. Marley's ghost said Scrooge would receive visitors. Who were those visitors? Setting is where a story takes place. What is the setting when the Ghost of Christmas Past takes Scrooge on a journey? The author described Scrooge as a very cold man. Which detail best supports this description? Even blind men's dogs would turn and run from Scrooge. Scrooge kept Marley's name on the door of his office. People sometimes called Scrooge "Marley" and he still answered. On the day of Marley's funeral, Scrooge was a man of business. he missed his old boss. he was never paid for his work. he should treat his own clerk better. he wanted to find himself a wife. What does the following line spoken by Marley's ghost mean? He loved his job while he was alive. He is a prisoner in death to the life he lived on Earth. He wishes he had worked more before his death. He was an iron worker who made chains. How did Scrooge's attitude change when he recognized people from his past? He became angry and mean. He became quiet and shy. He felt poor and worthless. He felt very excited and joyful. Which detail best shows how Scrooge started to change when he saw his old friends? He wished he had given a young caroler some money the night before. He said that his sister was a delicate creature with a large heart. He wished he had treated Old Fezziwig better when he was alive. He said that he wanted that night to remain with him forever. Which choice best described the relationship between Scrooge and Marley? Scrooge and Marley despised one another. Scrooge and Marley were brothers. Scrooge and Marley tried to woo the same woman. Scrooge and Marley were friends and business partners. Suspense is when the reader knows something bad is going to happen, but is not sure what. Which is an example of how the author used suspense in Stave One? Two men came to ask Scrooge for a donation. Marley's face appeared in the knocker on the door. Scrooge was angry about giving his clerk Christmas day off. The narrator repeated that Marley was dead as a door-nail. How is the Ghost of Christmas Yet to Come represented? Which choice best describes the first spirit who visited Scrooge?